Why can't my AWS Snowball device connect with the network? I can't connect my AWS Snowball device with my network. How can I fix this? Be sure that both ends of the network cable between the Snowball device and your workstation are plugged in. Confirm that your Snowball device is connected to a 10/100/1000 Ethernet switch. Snowball devices don't support the configuration for a 10/100 Ethernet switch. Confirm that your Snowball device is connected to a switch that's operating at full duplex speed, rather than half duplex speed. If your Snowball device is using a DHCP IP address, your workstation must be configured to satisfy client requests for TCP/IP addresses over DHCP. You can try using the Snowball device's static IP address instead. From the E-ink display of the Snowball device, tap Network. If your Snowball device has a DHCP IP address, tap Static. If your Snowball device has a static IP address, tap DHCP. The change from DHCP to Static, or Static to DHCP, shows a new IP address. Try pinging the new IP address using networking tools such as ping, netcat, or telnet. Note: Typically, DHCP is the correct IP address option for connecting to a Snowball device. However, cycling the IP address options back and forth can also cycle the IP address. Doing so can sometimes resolve the issue. Above the E-ink display, press the power button firmly for five seconds. After the Snowball device turns off, wait 60 seconds. Unplug the power cable from the back of the Snowball device. Wait another 60 seconds. Plug the power cable back in. Press the power button firmly for five seconds to turn the Snowball device on. After the Snowball device turns on, try pinging the IP address shown on the E-ink display. If you're still having connection issues after the previous troubleshooting steps, try replacing the RJ45 cable with a CAT5E cable. Additionally, you can try replacing the SFP+ cable or the power cable. 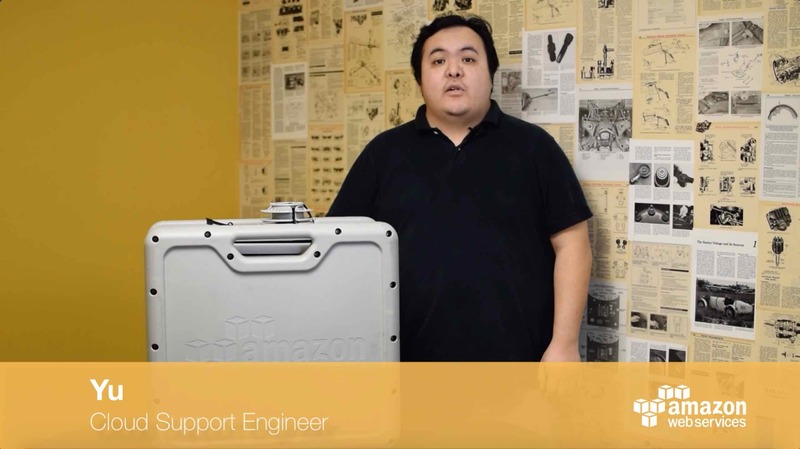 If you continue to have connection issues even after trying all the previous troubleshooting steps, contact AWS Support.